Start your review of Henry Lam. Send a message to Henry Lam. Thank You! 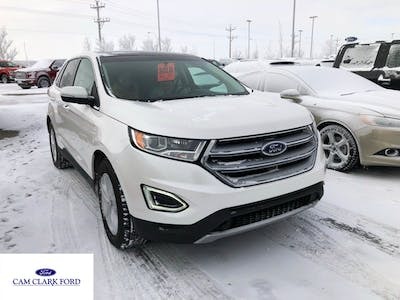 Your message has been sent to Henry Lam at Cam Clark Ford Airdrie. This was my first time buying a new vehicle, it was a big deal for me. 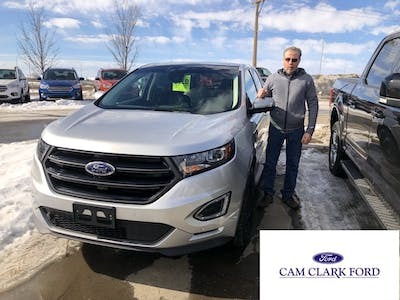 The guys at Cam Clark were really amazing to work with, everything from the test drive, to signing the papers and picking up the vehicle was a breeze. If you are looking for a ford I highly recommend this dealership. Once you have the vehicle they are still supper supportive and don't forget about you. Special thanks to Khan, Kody and Henry! "Natalie was very prompt when working me. " She worked hard to close the sale. Her team was good dealing with my family while we were doing the paperwork. She has also contacted me to make sure everything is good! Both Ed and Brittany were very helpful and made the purchase of our new truck very easy and with no pressure. Thank you Ed and Brittany for another great Cam Clark experience. 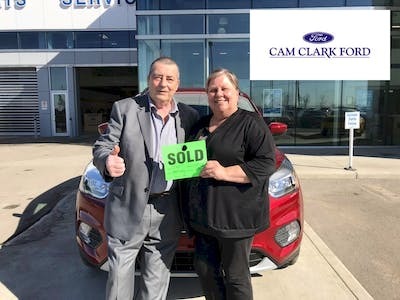 I bought my first Cam Clarke Ford vehicle 12 vehicles ago and they will have my business in the future! I appreciate their sales team, the prices, the service department and overall experience. I have referred many family and friends and they have always been treated very well also! Thanks to the whole gang at Cam Clarke!! Very pleasant experience. Ron and Harold treated us as if we had known them for years. The whole experience was great! Ron and Harold were very knowleable and friendly. "It was exciting, fun, and very friendly place to deal with! " This is my first time dealing with Cam Clark Ford... And, I'm very impressed with Britney and Ed Wan! They get things looked after rather quickly... I'm impressed! Besides the 2 of them being very knowledgeable, they're very nice, and helpful. I would certainly recommend Ed & Brittney to look after you vehicle needs... They know how to "Get 'er Done"! "Very accomodating and friendly. Great experience." Ed,Henry and Brittney were awesome to deal with. Friendly and funny people. I love my car and the service Cam Clark Ford provides to their costumers.